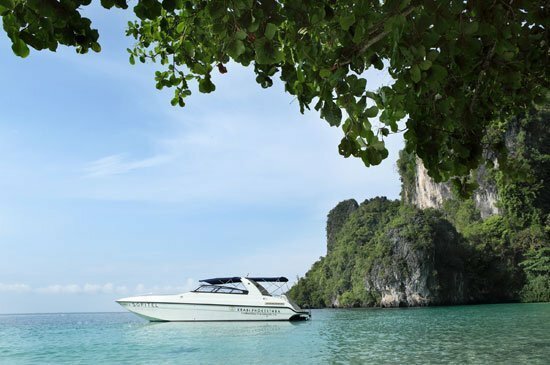 October 2015, Krabi – Enjoy the perfect end to a magical day in Krabi on our sunset cruise to local islands such as Hong Island, Hong Lagoon and Pak Bia Island. Relax in our luxury speedboat as you cruise across the glistening blue waters and experience the romance and beauty of an Andaman sunset. 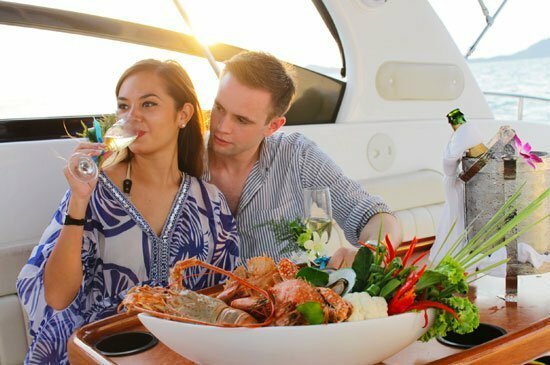 On this special evening, you can sip wine and savour exquisite gourmet canapés as we pass through some of Asia’s most spectacular tropical scenery. Inclusive of the service and attention of our professional excursion team, an exclusive dinner set, gourmet canapés and snacks, a bottle of wine and soft drinks. Inclusive of the service and attention of our professional excursion team, gourmet canapés and snacks, a bottle of wine and soft drinks.